OSQ High Output features a top lumen output with up to 65,000 lumens and can replace multiple metal halide 1,000 watt fixtures. 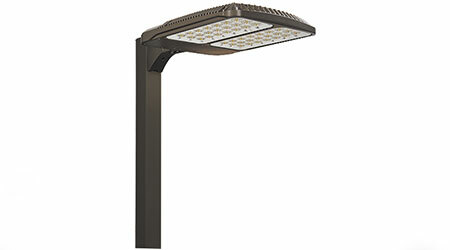 The product extends the application range for open area and flood luminaires to projects with high mounting heights, including high mast and large parking lots, and it has special packages for outdoor automotive frontlines. The luminaire supports true-to-life colors with a color rendering index of 90 and delivers efficacy of up to 125 lumens per watt.